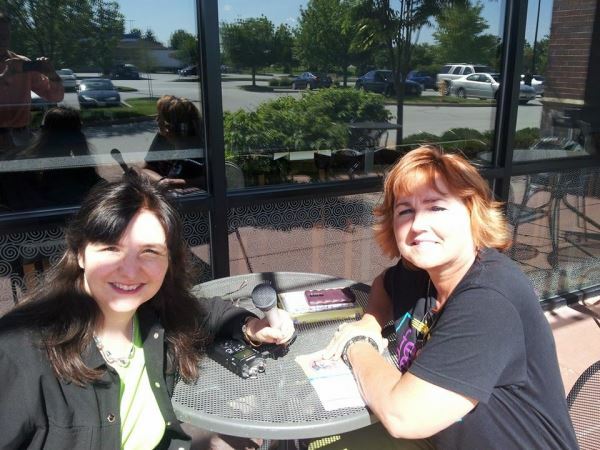 This photo was taken of me with a very special lady, Jacki Dirksmeyer, the founder of Feed My Peeps. I just love it when the private sector proves that it is better, less expensive and is more compassionate than government. When we look at many of the government programs that are a waste of taxpayer dollars, it should make all of us shake our heads. Too often the only beneficiaries are the bureaucrats who get job security out of it. “After $22,000,000,000,000 thrown at the poor, we have barely moved the needle since 1965. Who benefits? In his typical fashion, he tries to bait and switch this on partisan lines, but the truth is that government anti-poverty programs are statist and socialist. Only socialist politicians benefit. With our freedom at stake, people need to hear the truth about welfare — government-sponsored poverty. We cannot stay silent while our free-market solutions — that are proven to lift people out of poverty — are destroyed by our President and his poverty activists. We cannot stay silent when our very freedom is at stake by the regulation and taxation of everything in our lives. I will not submit. I know you won’t either. We need a real cure for poverty. We need a cure that provides for a free-market solution that upholds human dignity and provides choice and opportunity. We can do better than this. Many of us are proving every day that we are better than this. 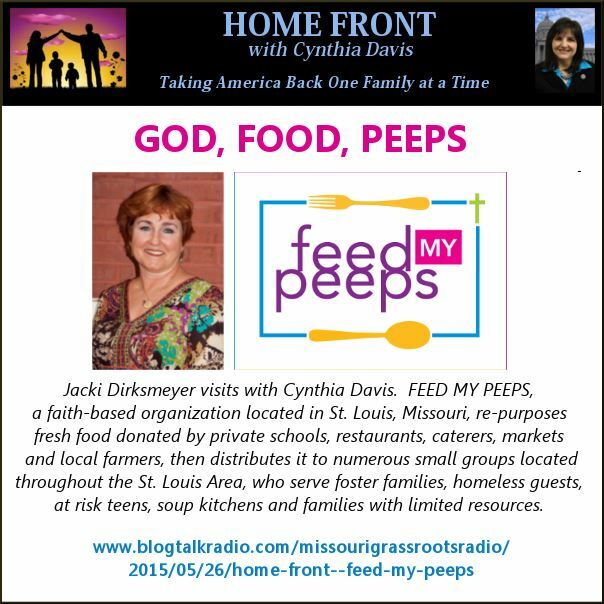 My friend, Jacki Dirksmeyer, a former culinary instructor, having served in the catering business, knows just how much good food is going into the trash every day! One day she decided she would get involved and find a way to convert that food from utter waste into an utter blessing for some families who could really use it. Feed My Peeps is a live example of how the free markets are so much better than government. “First of all, the government doesn’t have any responsibility for the poor. You and I have responsibility. People have responsibility. 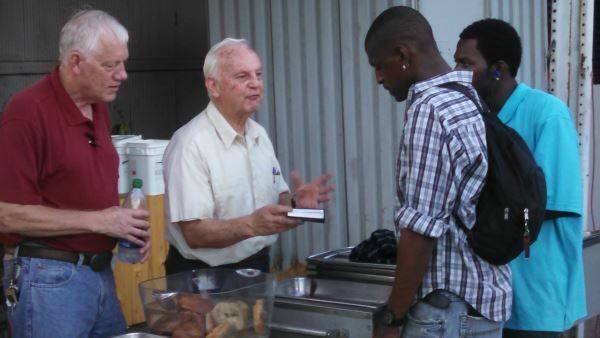 This is a picture someone snapped of my dad, Gordon Gosh, serving Bibles to people. He volunteers for Feed My Peeps, but he also understands that feeding people is far more than just stuffing their stomachs. It’s feeding their souls as well. Thank you for standing with me on holding the standards high! Oh, good. 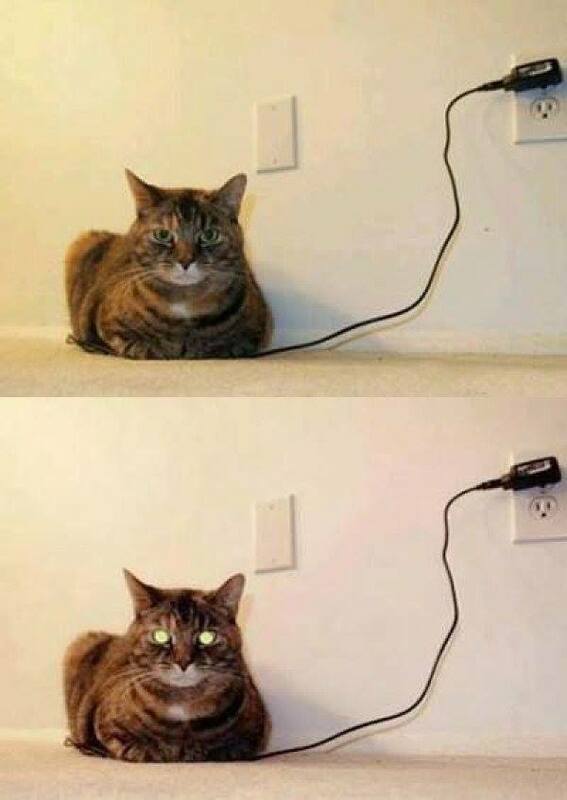 The cat is finally charged.